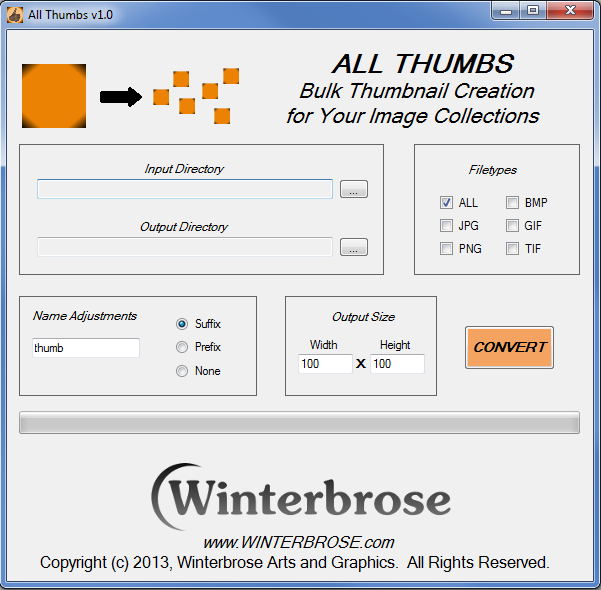 An easy-to-use and speedy app for creating mass amounts of thumbnail images for your collections of digital photos or graphics images. Output size is limited to 512 x512 (which is more than adequate for most thumbnail images). 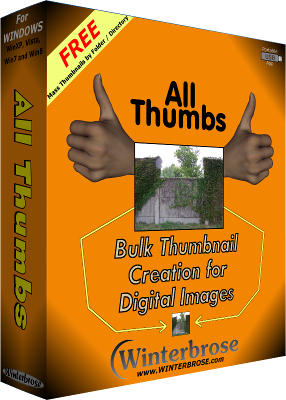 We strongly recommend that you backup files before processing them with All Thumbs. Your computer should be fully updated from Microsoft Windows Update. Make sure you are logged into a Windows account with full admin rights. If you are using an account with limited rights, the application may not work properly when Saving.